Tbd Tinney Inn Road Sanford, NC. | MLS# 551053 | Homes for Sale in Fayetteville North Carolina near Fort Bragg. View the latest MLS listings from Manning Reatly REALTOR® Lloyd Kent. 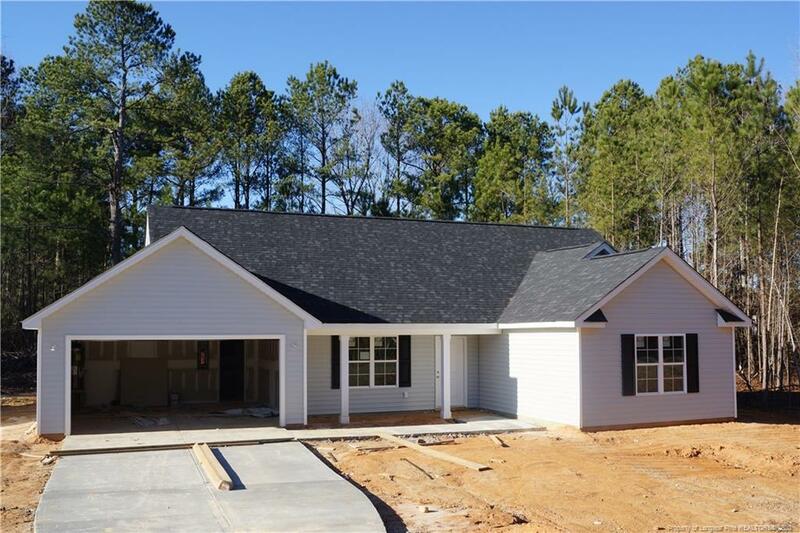 THIS NEW FLOOR PLAN HAYDEN FEATURES A COVERED FRONT PORCH AND OPEN FLOOR PLAN WITH THE KITCHEN OPENING INTO DINING ROOM AND FAMILY ROOM. THE KITCHEN HAS A ISLAND AND PANTRY, ALONG WITH GRANITE AND STAINLESS STEEL APPLIANCES. MASTER SUITE HAS SHOWER WITH LARGE WALK IN CLOSET.NICE LAUNDRY ROOM AND FULL BATH AND TWO OTHER NICE BEDROOMS.